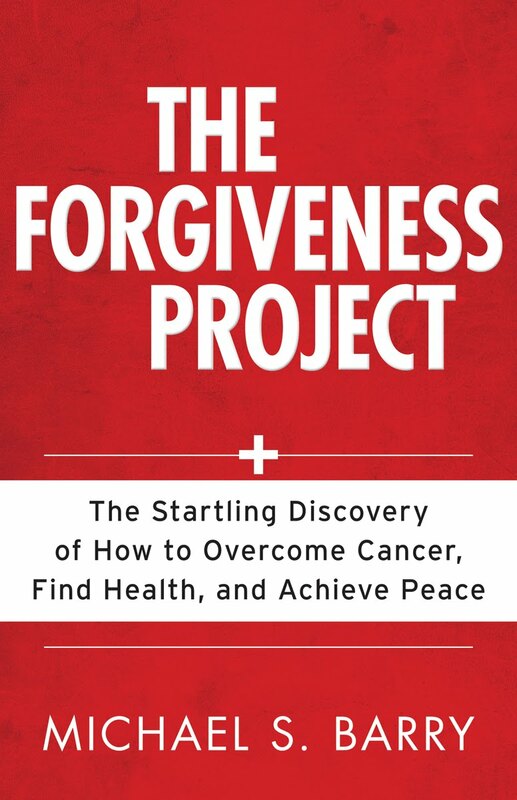 The Forgiveness Project:The Startling Discovery of How to Overcome Cancer, Find Health, and Achieve Peace, by Michael S. Barry, was published by Kregel Publications (Grand Rapids) in early 2011. I served as ghost writer and editor for the book, working with the author throughout the writing, editing, proposal, and publishing process. All religions value forgiveness, but only Christianity requires it. Internalizing anger is destructive to our spiritual health and can destroy families, marriages, and even churches. But what about our physical health? Is there a relationship between a spirit of unforgiveness and cancer? Between forgiveness and healing? How do you really forgive? After thorough medical, theological, and sociological research and clinical experience at Cancer Treatment Centers of America (CTCA), author and pastor Michael Barry has made a startling discovery: the immune system and forgiveness are very much connected. Through the inspiring stories of five cancer patients, Barry helps readers identify—and overcome—the barriers that prevent healing and peace. See how a breast cancer patient named Jayne experienced spiritual and physical renewal when she learned to forgive. Meet Cathy whose story illustrates how forgiveness can positively change relationships. Be inspired by Sharon’s story of spontaneous remission. With each true account comes proven strategies, tested and used by CTCA, that readers can implement to find peace with their past, relief from their hatefulness, and hope for healing. Competing titles may talk about forgiveness, but none specifically address the connection between forgiveness and physical health or offer forgiveness as a specific step toward healing from cancer. The Forgiveness Project presents scientific findings in easy to-understand, accessible language and offers practical steps to help Christians let go of past wrongs and find peace. Michigan’s Upper Peninsula is a nature lover’s paradise. With more than 300 waterfalls, 4,200 lakes, miles of Great Lakes shoreline, and forests covering 90 percent of the land, it’s an America most have never experienced, filled with scenic two-lane roads, small rural towns, and a slower pace of life. Michigan native Josh Bishop provides an insider’s view of the Upper Peninsula in this new first edition. Accessible and easy-to-follow, the book is structured in a loop around the peninsula that begins with the Straits of Mackinac, covers Escanaba and the Lake Michigan Shore, the Superior Upland, Keweenaw Peninsula and Isle Royale, Marquette and the Lake Superior Shore, and ends with Whitefish Bay to the Lake Huron Shore. To help travelers make the most of their time, the book comes with trip itineraries that highlight the region’s unique waterfalls, lakes, and lighthouses. Explore the “best of” the Upper Peninsula in two weeks by tasting Mackinac Island’s best fudge, observing recognizable landmark Arch Rock, scouting out a waterfall gem at Tahquamenon Falls State Park, and more. For history buffs, there’s a 4-day tour, as well as insight on maritime history. For those looking for outdoor activities, the book offers an itinerary that follows the Lake Superior Trail. There is also information on winter activities, like skiing, snowmobiling, and dogsledding. For warmer weather, Bishop includes information on shipwreck diving in the Great Lakes. With 25 detailed maps, transportation tips, accommodation and food recommendations, recreation ideas, and background information on the Upper Peninsula’s geography, history, people, and more, travelers will have the tools they need to get away from the urban sprawl and experience a more scenic and relaxed way of life. For more information on Michigan’s Upper Peninsula, read Bishop’s author Q&A on moon.com: http://www.moon.com/author-q-a/michigan-s-upper-peninsula-josh-bishop. For those who are looking for details on specific areas of Michigan, Moon’s guidebook to the Upper Peninsula is an indispensable volume. In addition to thoughtful descriptions of what to do and see, author Josh Bishop includes detailed information on the region’s history, culture, geology and geography, flora and fauna, economy and people.